Detroit is a major city in Michigan, although has experience significant emigration in recent decades from a population of over a million in 1990 to approximately 670,000 today. Detroit Water and Sewerage Department (DWSD) is the primary provider of drinking and wastewater services. At one point this was one of the largest water service systems in the United States, and DWSD provided water and sewer services far beyond the limits of the city. 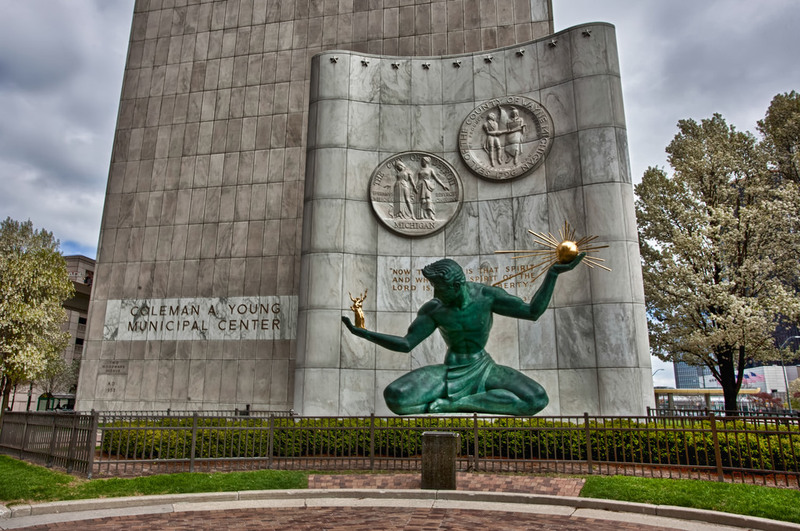 As part of the city’s bankruptcy restructuring, the Greater Lakes Water Authority leased the water services from the greater Detroit area so that DWSD only provides water services in the city. With tens of thousands of delinquent accounts, the financial outlook for the utility and the city as a whole remains tenuous and changes to DWSD are likely to continue into the foreseeable future. The majority of Detroit’s fresh water supply comes the Detroit River, which is diverted at the Belle Isle intakes and treated at the Northeast and the Spring Wells Plants. Detroit Water and Sewerage Department owns and operates one of the larger wastewater treatment plants in the United States which treats water from not only Detroit, but 76 surroundign communities. While Detroit Wastewater Treatment Plant, treats approximately 650 million gallons per day of wastewater, the city’s combined sewer system creates vary large peak flows during precipitation events. During times of excessive precipitation, the plant’s capacity may be insufficient to treat the incoming water. After water is treated it is discharged at the Detroit River outflow. Non-potable and grey water recycling programs have been discussed but not pursued by DWSD. Detroit has a combined sewer system, which means its sewers carry both stormwater and sanitary sewage. In recent years the city has struggled with overflow events during large storms. Largely in response Federal and State regulations which outlaw these overflow events, DWSD was promoted green infrastructure for its residents and invested in a number of new retention basins. In response to regulations, Detroit has also set a lofty goal of using green infrastructure to be “one of the greenest cities in America.” While this goal may be admirable, DWSD is still facing significant funding challenges. Currently, DWSD funds its stormwater programs through a “drainage charge” based on property characteristics. The city has also created a $5 million matching program, which provides capital assistance to Customers who reduce stormwater runoff on their property. The two main sources of Detroit’s water supply are the Detroit River and Lake Huron. While DWSD uses little or no groundwater for potable water sources, a number of industries in the area use large amount. Nestle and Pfizer pump billions of gallons from the bedrock aquifers around the great lakes. In recent years, these withdrawals have ignited a controversy of environmental concerns and state resource ownership.